Resistance training and weight training have proven to help individuals build muscle mass, increase bone density, and a variety of other benefits to your health that may not be visually noticeable. However, the truth is that working out literally changes your biological makeup. In today’s article on physique, we will be highlighting some of the most intriguing facts about how working out can change your gene expression, leading to a stronger, healthier state of being. 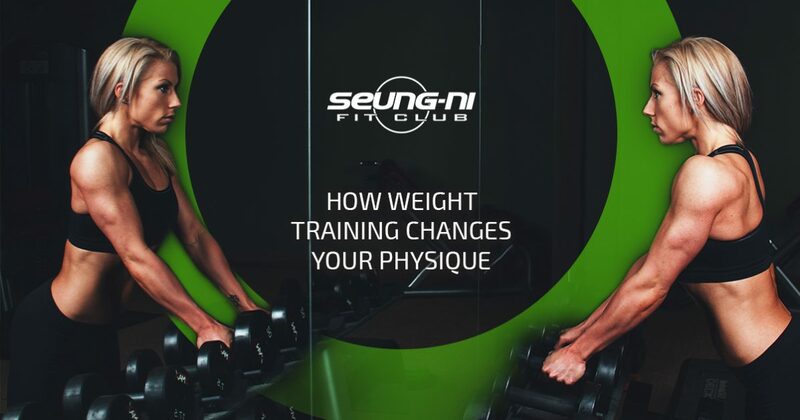 As Michigan’s top gym and fitness centers, Seung-Ni Fit club has helped individuals reach their full physical potential since 1989. With multiple locations in Bay City, Midland, Saginaw, and Traverse City, we make it easy for residents of Michigan to find our leading fitness centers near them. We offer several classes such as body sculpting, boot camp, and Zumba, and work tirelessly to provide the highest level of service possible to our members. To learn how becoming physically active can change your biological makeup, continue reading more on the subject below. One of the most interesting facts about weight-bearing workouts is their ability to increase your bone density, giving individuals a stronger skeletal structure. When you begin putting heavy amounts of weight on your body, whether through squats, bench press, or a variety of other weight-bearing exercises, your body must adapt or suffer the consequences. This is because your body has the ability to recognize areas of your bones that are experiencing an excessive amount of stress, which causes new bone cells to travel to the affected areas, causing new bone formation. This biological function plays a vital role in increasing your bone density which directly improves your bone strength. There are two types of muscle fibers, fast twitch and slow twitch, that are essential to your athletic performance. Oddly enough, these muscle fibers can vary based on your muscle fiber make-up and the exercises you take part in. For example, slow twitch muscle fibers are predominantly found in long-distance runners, as slow twitch muscle fibers are responsible for activities that are low intensity. Power lifters, on the other hand, are known to have more fast twitch muscle fibers, as their sport requires them to lift an incredible amount of weight using explosive movements. However, depending on the types of exercises you take part in, you can directly affect how your muscle fibers develop. Those looking to train their slow muscle fibers will do much better lifting lower weights with more repetitions. Comparatively, if you are wanting to build your fast twitch muscle fibers, you should consider lifting heavier weights at lower repetitions. Many studies have proven that consistently working out can significantly speed up your metabolism. The science to support this evidence is due to the fact that muscles are responsible for burning more calories than fat. Since muscles require a large amount of energy to function, taking part in aerobic workouts, such as Zumba, can help to shed fat while keeping your metabolism at its peak performance. If you are looking for the top fitness center in Michigan, sign up for your first month at Seung-Ni Fit Club for just one dollar! Contact our team of professionals today to learn more!